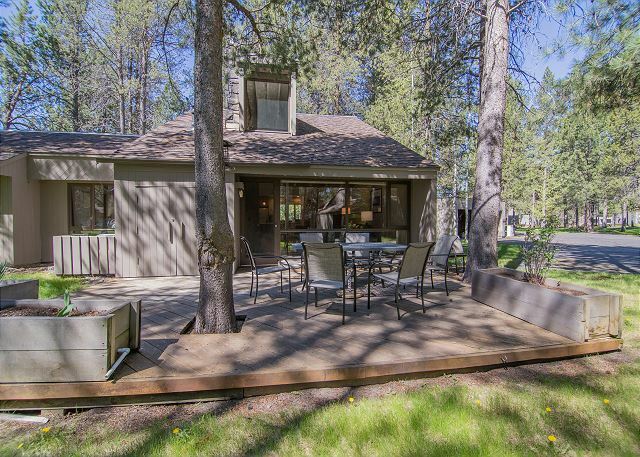 Upgrade your vacation in Sunriver when you stay in Meadow House #26. 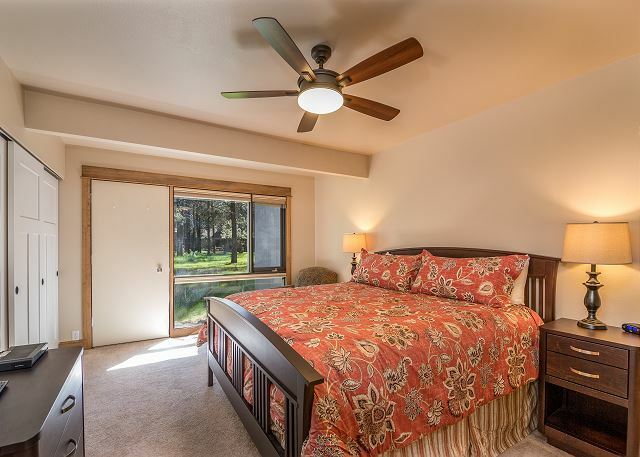 This 3 bedroom (2 Master Suites) 3 bath home has a soaring great room located close to SHARC and the Village. 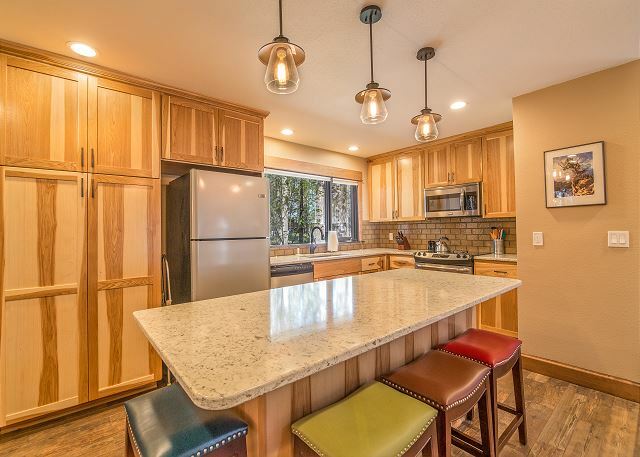 Meadow House #26 is a free standing condo that was remodeled in 2017 from top to bottom! 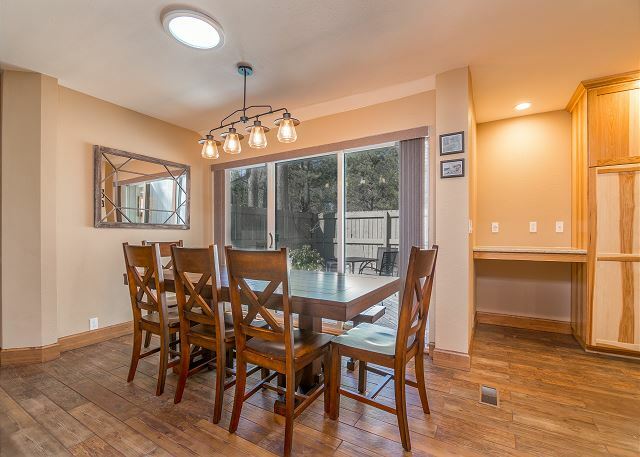 The spacious kitchen is perfect for preparing large family meals and the large bright living room with cozy gas fireplace is perfect for creating family memories. 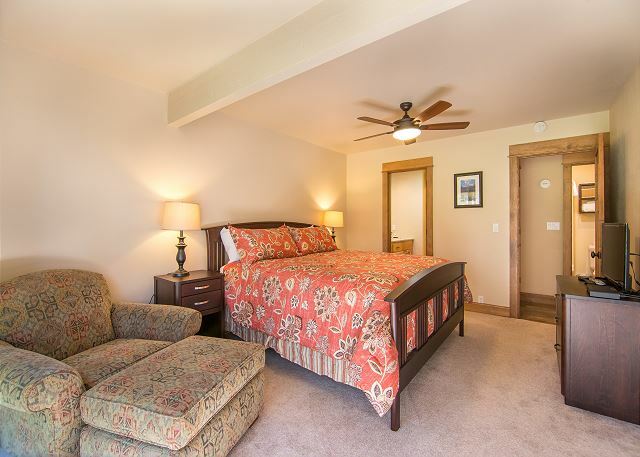 Meadow House #26 boasts designer furnishings throughout the home with a 3 TV's. 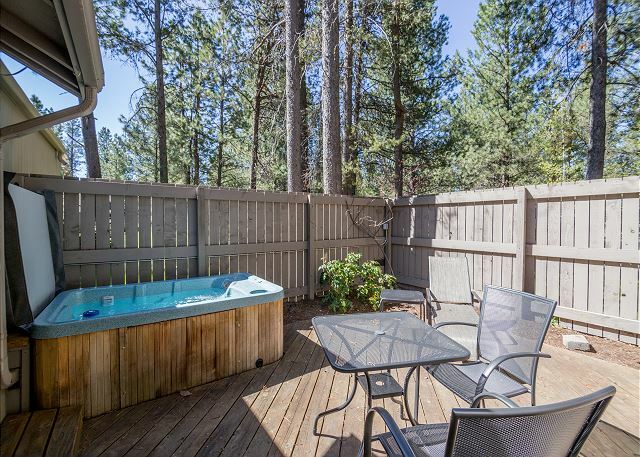 Relax in your private hot tub with private enclosed patiio or take the bikes out for the day and ride Sunriver’s 30 miles of paved bike paths! Open front deck to grass lawns perfect for sunning and barbeques. 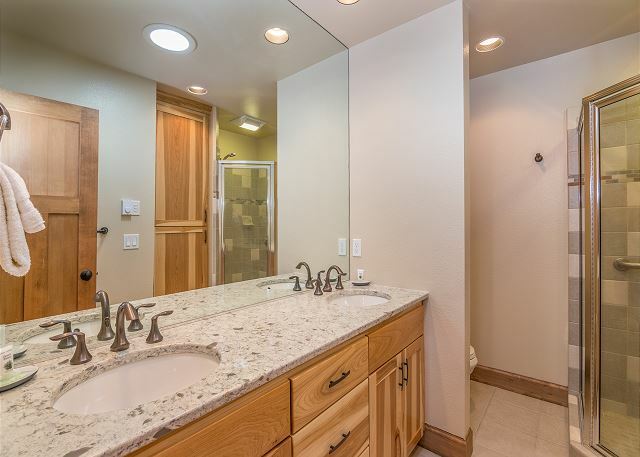 We appreciated the fact that the condo turned out to be as it was described. 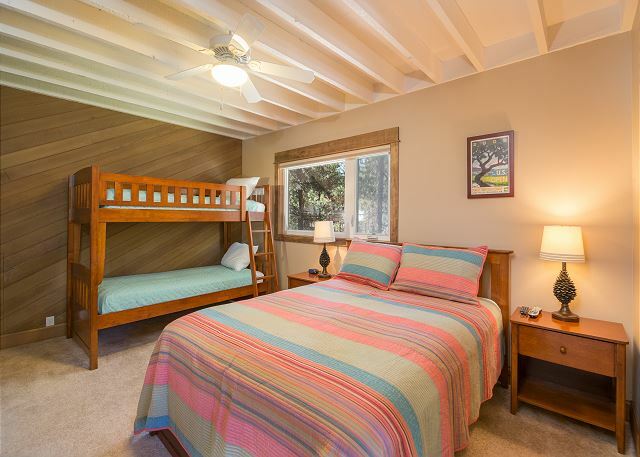 It was remodeled, clean and in an excellent location close the Sharc and The Village. 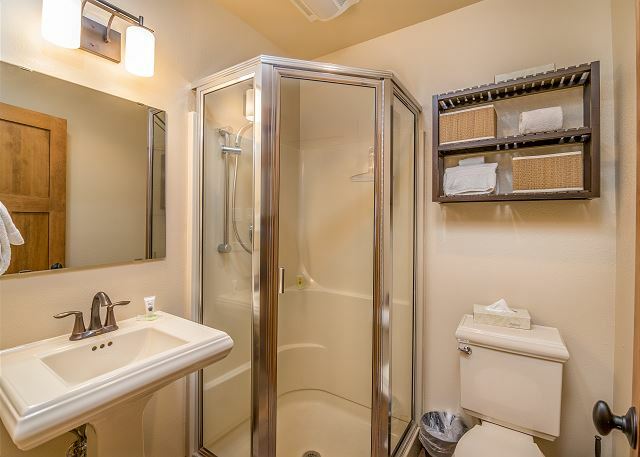 It’s listed as “ two master suites” however one of the master suites is upstairs and includes bunk beds and a tiny bathroom. We had trouble with keys not working in the front door but Sunset Lodging employees were quick to fix the problem. Thank You for your review, Vickie! So glad that you found the condo as described, clean and a great location and that we were able to help promptly when needed. Come back Soon! 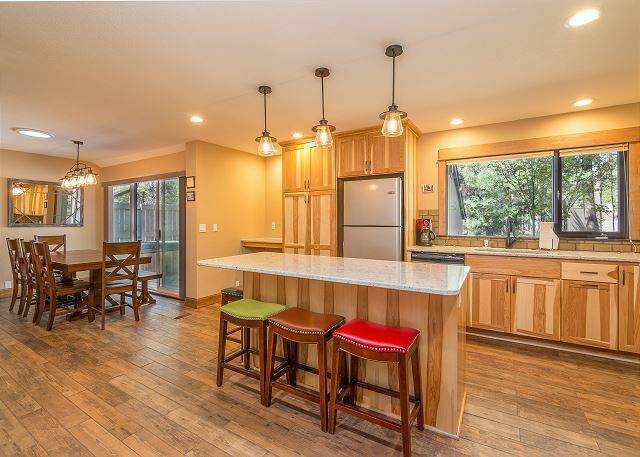 This was a perfect house for the three couples that came to Sun River to have fun. The floor plan worked very well for us. The kitchen spacious and well equipped. Comfortable furniture and a good location. We had a wonderful time!! Glad the smoke has cleared; the weather was beautiful! Thank You for the 5 star Review, Donna! We are so glad that you enjoyed the home and had a wonderful stay! 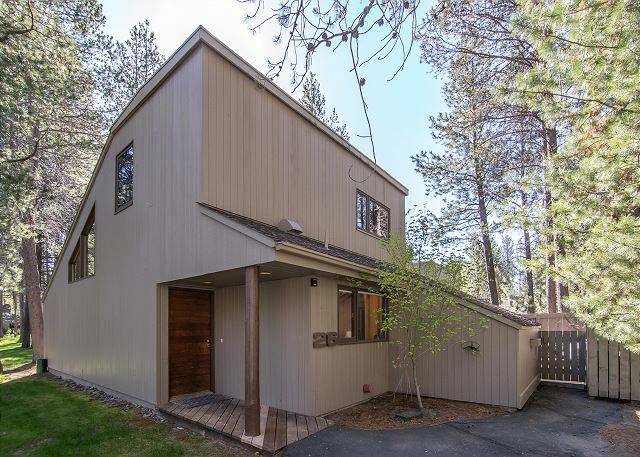 We hope to see you again in Sunriver! We had a lovely stay in this condo. It worked out perfectly for our group of two adult couple, 2 small children and a brief stay with another adult child. The location was perfect - as we arrived Sunday & used our bikes to take care of all wandering, erranding, shopping etc. The kitchen setup worked very well for meal prep. Several locations for games and video watching. While it is a condo - therefore smaller than I am used to - the space was very efficiently organized so it worked very very well. Loved sitting outside on the deck facing the open areas between condos. Loved how central it was so the young kids (9 and 6) could still bike efficiently. Thank You for the 5 star Review, Christine. So happy to hear that you enjoyed the Meadow House location and that it fit your group well! We hope to host you again! Our stay at Meadows 26 was excellent. The condo was clean and well equipped. The location was great. Thank You for the 5 star Review, Robert! 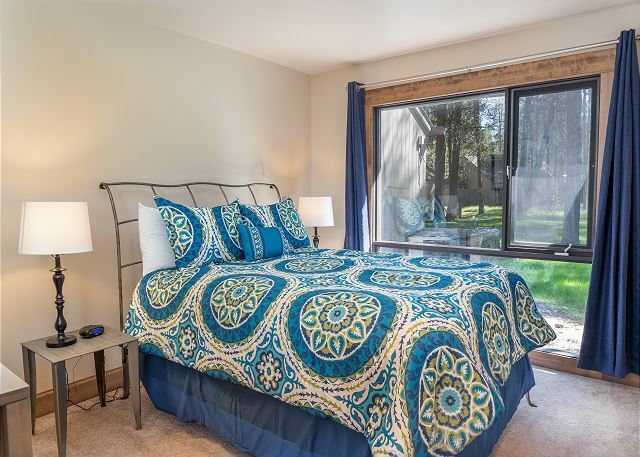 We are so glad that you enjoyed the condo and location and found it to be "excellent!" Come back soon! Thank You for your awesome review! We hope you will come back and visit again soon! My experience at this place gets the highest marks.The one negative for me was the three remotes for the television and Dvd system. No instructions for using it were provided and found it very frustrating to get it to work - finally did figure it out. Danette, Thanks so much for the great review! 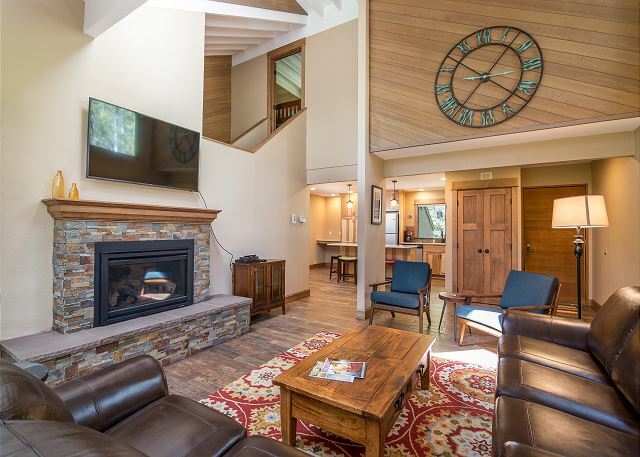 We think Meadow House 26 is AWESOME too! We will work on getting some instructions for the remotes as well. 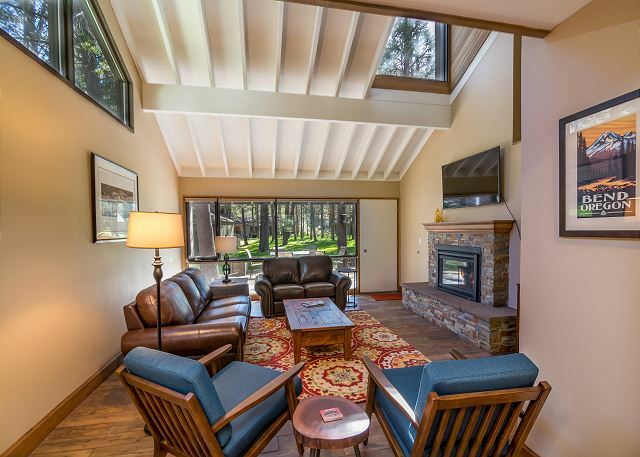 We hope you visit us again soon in Sunriver and at Meadow House 26.